Arriving on Hamilton Island late afternoon we quickly checked into the Palm Bungalows so we’d have time to refresh ourselves before heading to One Tree Hill for sunset cocktails. The Palm Bungalows are one of several different types of accommodation offered on the island, including the Reef View Hotel, The Beach Club, Holiday Homes and qualia resort. The Palm Bungalows are free standing bungalows, surrounded by lush gardens, providing privacy, and a feeling of truly being in the tropics. Each recently renovated bungalow is comfortably equipped with a bed, television, kitchenette, bathroom, and small private patio, complete with a hammock, for lazing in the sun. Unfortunately there wasn’t time for lazing, so we quickly showered and changed, ready for cocktails. The island transport of choice, an electric golf buggy, was our transport to One Tree Hill. 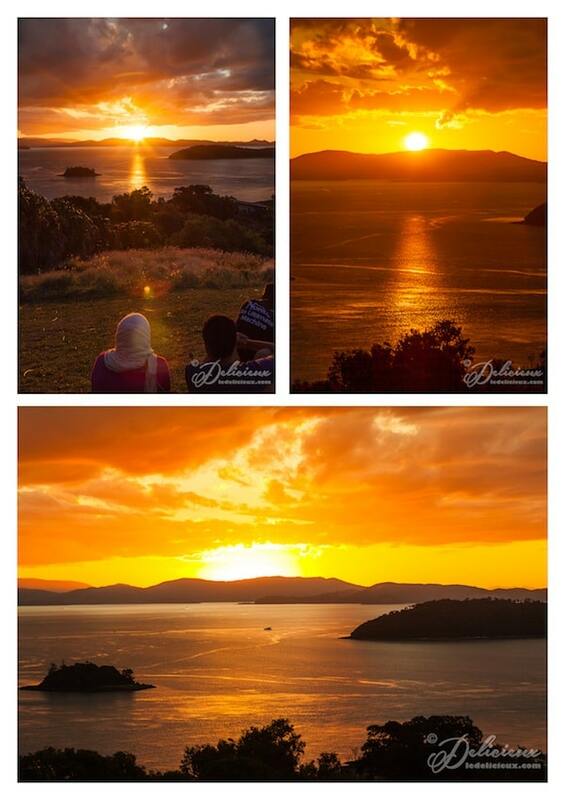 One Tree Hill is Hamilton Island’s hilltop lookout that is the place to be to enjoy the best sunset views available on the island. To make the most of this each night a makeshift bar opens to allow locals and tourists alike to sip cocktails and champagne while taking in the breathtaking sunset views. With the sun setting over the islands in the distance, and the sunlight bouncing off the water, it truly is an amazing experience. After sundown we headed for dinner at CoCa Chu. 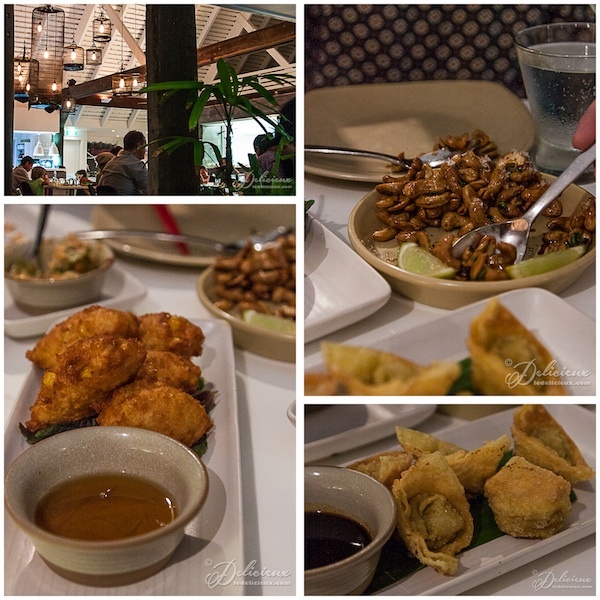 Launching in late 2012, Coca Chu offers modern South East Asian style food and is headed by Executive Chef, Adam Woodfield, who has 19 years of experience working in restaurants throughout Australia and New York, including opening his own restaurant in New York, Betel, in 2009. 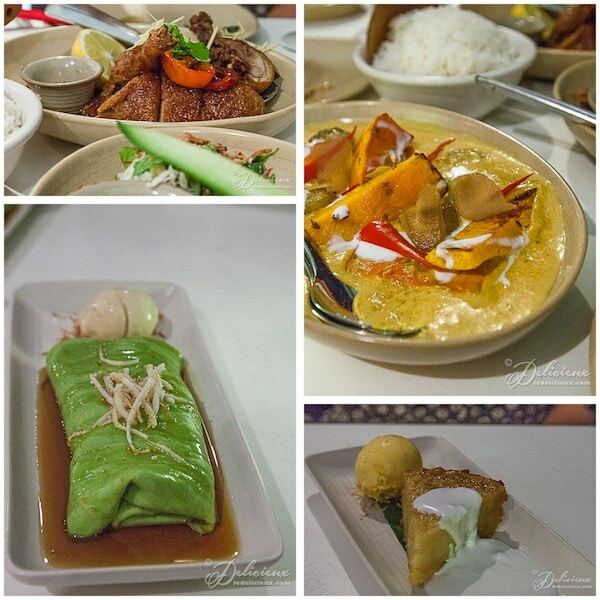 The food at Coca Chu is based upon the hawker food stalls of South East Asia and mixes bold flavours in an elegant but casual island atmosphere. 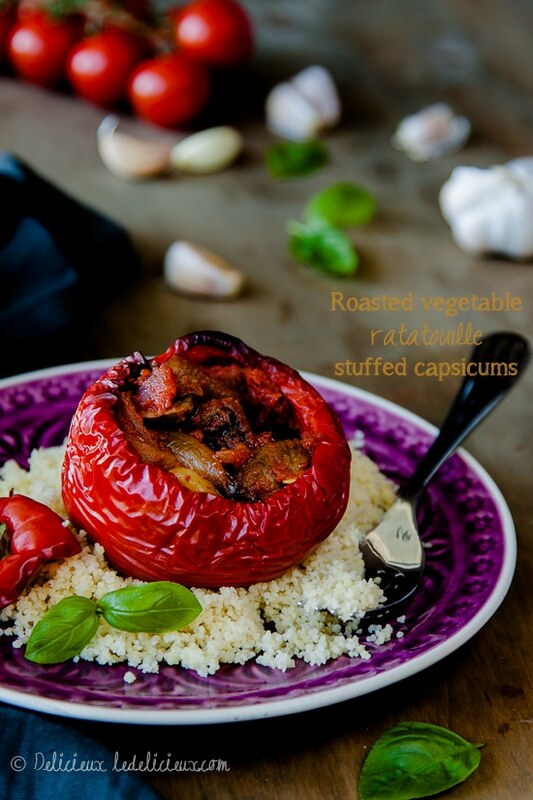 Each dish is designed to be shared amongst your fellow dining companions, and offers the perfect excuse to sample a lot of different dishes. Our little table was literally groaning under the weight of food, so much so it was difficult to decide what to eat next, but eat we did! 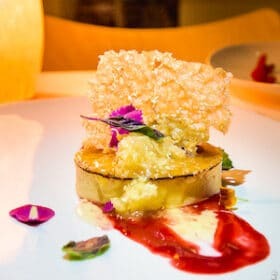 In addition to it’s famous meat dishes, such as twice cooked duck with plum tamarind sauce, Coca Chu also caters for vegetarians, with dishes such as spicy corn fritters with shiso leaves and soy lime dipping sauce and an absolutely sublime yellow curry of roasted butternut pumpkin with eschallots and pickled ginger. We also splurged on dessert, as the sound of the pandan crepe with caramelised coconut syrup caught my attention as I’m truly a sucker for anything caramel. Having indulged in far too much good food it was time for bed, and so we returned to our Palm Bungalow for a much needed good nights sleep. The next morning we strolled to the Sails Restaurant for breakfast. Sails is located beachside, offering all day dining. 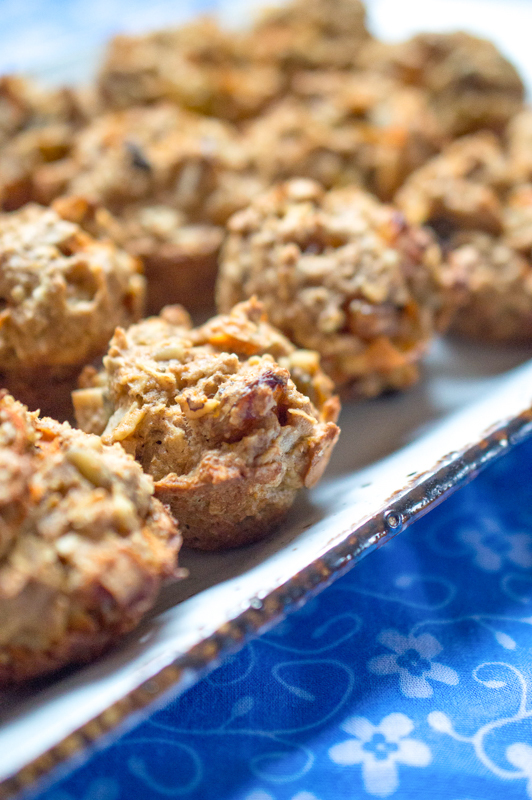 Breakfast was buffet style, with the usual buffet fare on offer with a mixture of hot food, fruits and cereals. To make the most of our island time we opted to sit outside, where we soon discovered the importance of not leaving our food unattended, as the local birds tried to swoop on our plates. 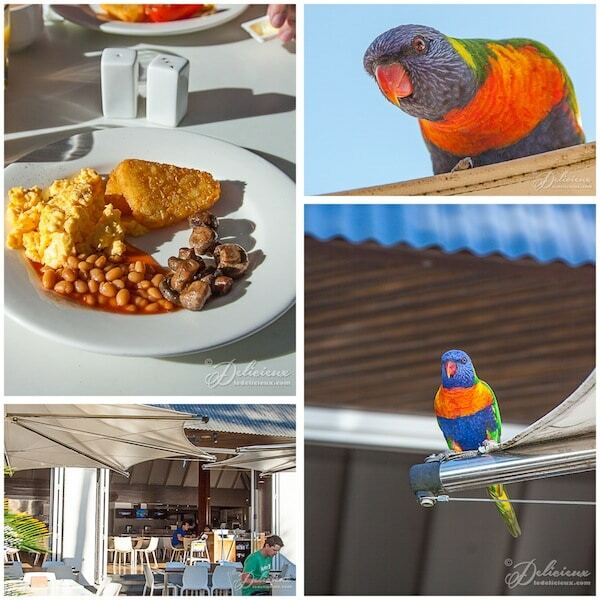 One particularly bold, and I suspect hungry, rainbow lorikeet, sat on an umbrella next to our table and forlornly watched on as we ate breakfast. After breakfast we had a quick look around, and then it was time for a tour of Qualia resort, which I was particularly excited about, as qualia has long been on my list of places I want to visit. Entering the gates of qualia resort reminded me of watching the gates of Jurassic Park open. Both are impossibly large, and hidden inside is a world you can’t possibly imagine. 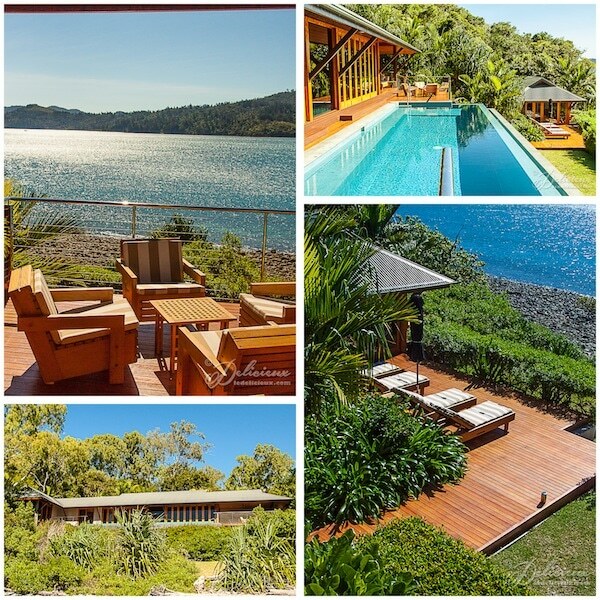 While qualia doesn’t, thankfully, contain dinosaurs, it does offer the most beautiful and serene views and accommodation on the island. 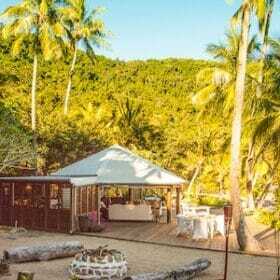 qualia (deliberately spelt with a lower case ‘q’ to reflect the relaxed nature of the resort and pronouned kwah-lee-ah), occupies the most northern tip of Hamilton Island. Offering 60 pavillions, two public infinity edged pools, two bars and restaurants, a library, fitness centre and spa, qualia caters to guests every need. Our first stop was the Long Pavillion, which, as you would expect from the name, is indeed long, 100 metres long to be exact, and offers some truly breathtaking views as guests enjoy a cocktail or a meal, or lounge by the pool. It is also the first thing guests see upon arrival at the resort, and includes a dining room, lounge, bar and the library. Pebble Beach is home to a more casual dining experience than that offered in the Long Pavillion, a second pool and bar, as well as a private beach. It also offers beautiful island views. The resort offers three different types of accommodation – Leeward Pavillions, Windward Pavillions and the Beach House – and we were invited to look inside one of the Windward Pavillions and the Beach House. The Windward Pavillions offer luxurious one bedroom accommodation with north facing island views and private plunge pools. Once inside I didn’t want to leave as each pavillion feels truly private and serenely quiet. In fact I’m sure guests checking into one of the Windward Pavillions don’t want to leave their room because you have everything you need, with a large living area, seperate bedroom and huge bathroom, however room service only a call away. If it were up to me I’d happily spend the day in the private plunge pool with my husband sipping on champagne, but alas, we couldn’t stay. Maybe next time! I thought the Windward Pavillion was the height of relaxed island style luxury, however the Beach House truly takes that honour. 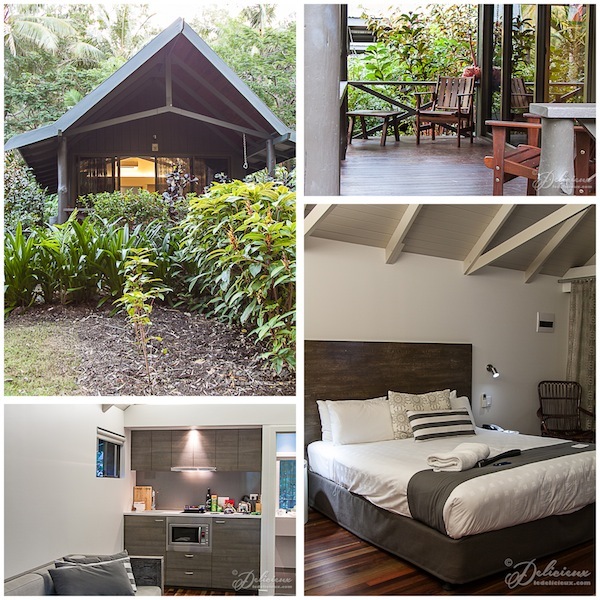 The Beach House is a very unassuming name for the largest accommodation available at the resort, and is tucked away in the most secluded area of qualia resort. Offering 2 bedrooms, with the addition of a guest house hidden down by the beach, and a dining table that seats 10, it is perfect for couples or groups travelling together. Apparently it’s where Oprah Winfrey stayed during her 2011 visit. Lucky Oprah! The Beach House also includes a secluded beach, just outside the guest house. 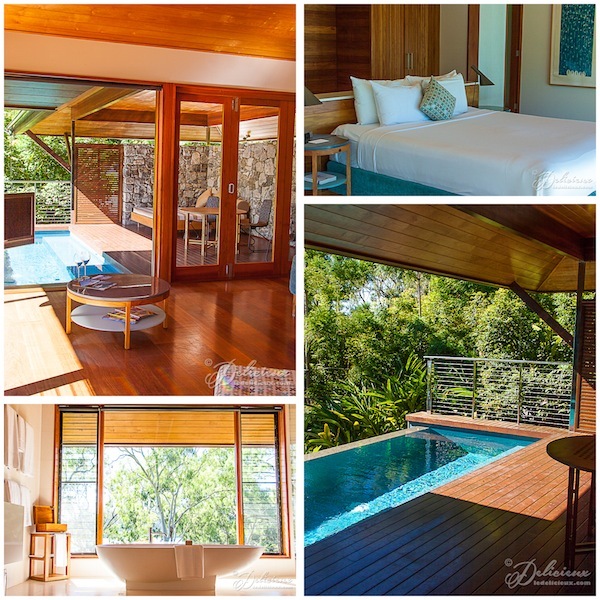 Just in case you get tired of swimming in the beautiful private plunge pool! 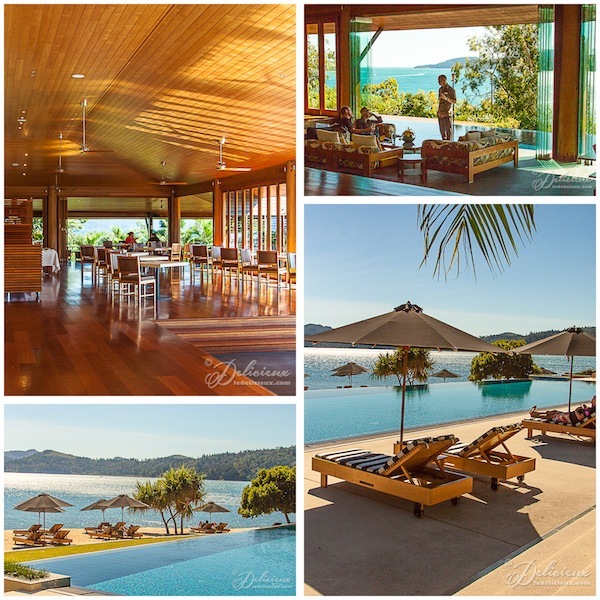 qualia resort is truly a magical place, and while I was not lucky enough to stay there (hopefully next time) I can definitely see why it was named the Best Resort in the World in the 2012 Conde Nast Travellers Readers’ Choice Awards. 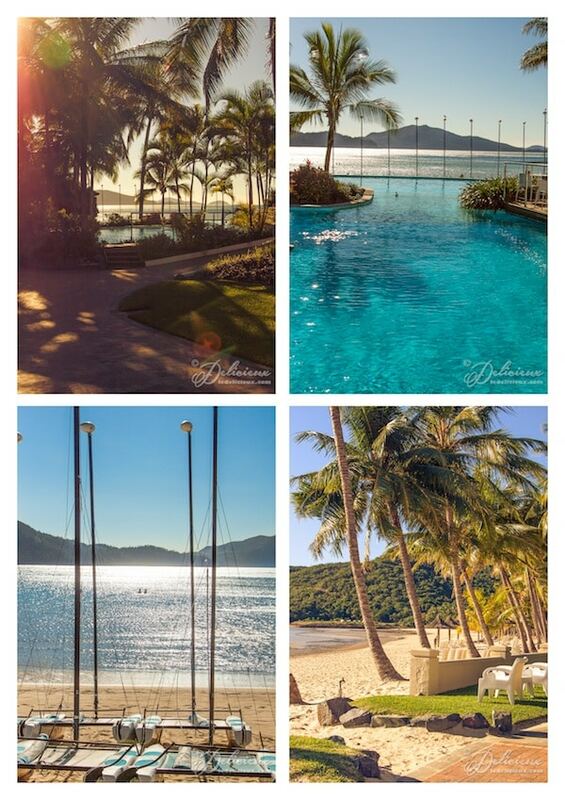 So tell me, have you visited Hamilton Island or been lucky enough to stay at qualia resort? 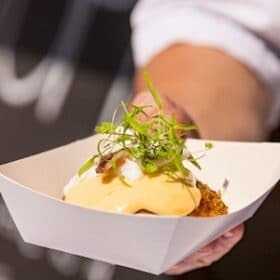 Delicious Everyday was a guest of Hamilton Island Tourism and travelled to the Whitsundays with thanks to Whitsundays Tourism. omg!! the sunset views are so so breathtaking!! Wow Jennifer! 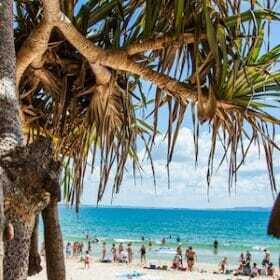 LOVE Hamilton Island, true! 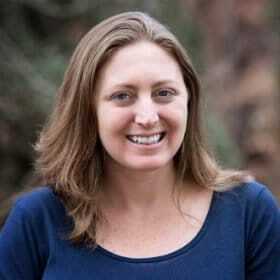 Qualia has been “on my list” and love the roasted pumpkin with quinoa recipe and your warm tropical view! What a gorgeous spot, those sunsets are incredible! I’ve never been to Qualia but I have been to Hamilton. Fantastic place! A fabulous place! Everything seems to be perfect on this island. 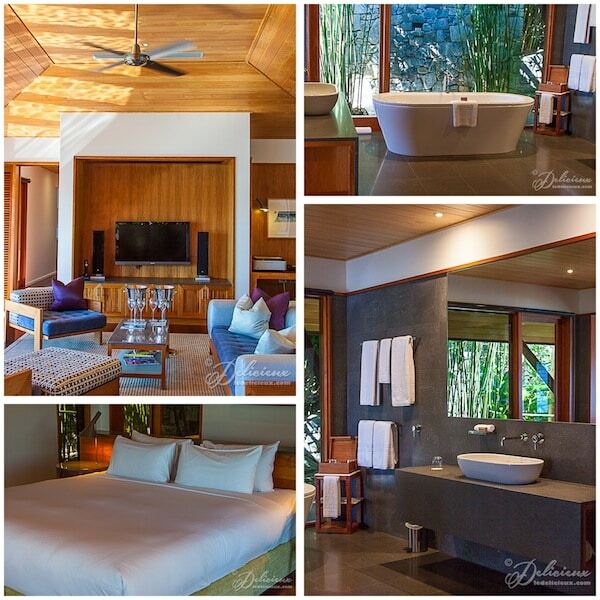 Staying at Qualia is on my wishlist. It looks so beautiful. Hopefully one day!! !